Drawing on his recently released book, Against the Anthropocene: Visual Culture and Environment Today (Sternberg Press), UC Santa Cruz professor and Director of its Center for Creative Ecologies T.J. Demos will examine creative models of cultural practice modeling alternatives to the human exceptionalism, anthropocentrism, and technoscientific rationality of the Anthropocene thesis. Rather than uncritically endorsing and recirculating the terminology, conceptualization, and practice of Anthropocene ideology, radical artistic and activist practitioners are exploring multi-species ontologies, experimental and multidisciplinary pedagogies, eco-sexual economies, and forms of institutional liberation. These, Demos argues, offer vital resources for how to imagine the reinvention of the world in ways socially just and ecologically sustainable, and to counter the seeming ineluctability of catastrophic climate change. 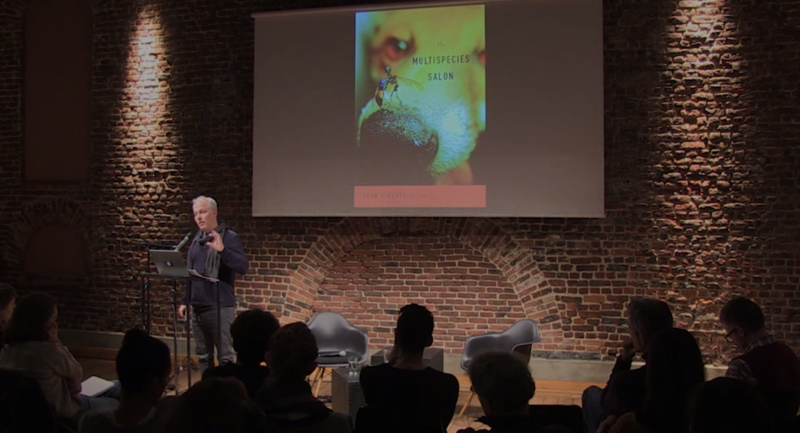 This lecture is followed by a discussion between T.J. Demos and Jeroen Peeters. T.J. Demos examines creative models of cultural practice modeling alternatives to the human exceptionalism, anthropocentrism, and technoscientific rationality of the Anthropocene thesis.